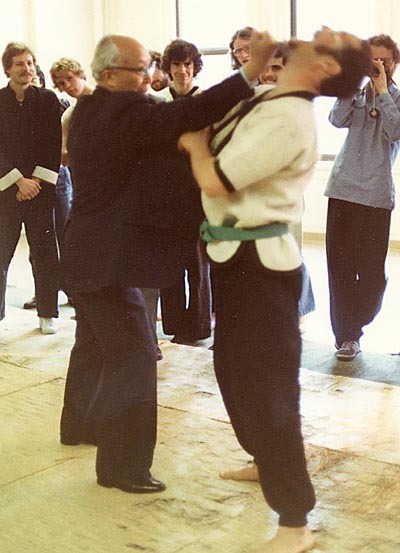 Great Grandmaster is shown hitting a student. This was a real hit. Taken in Ohio, 1984.